In the era of data, CRM’s are a central resource for companies no matter their size or industry. Data empowers business decisions, helps to automates processes and optimise time spent working. Microsoft Dynamics 365 is a complete CRM, it can help enterprises to grow and achieve their goals. It’s considered by the experts to be the next generation of business applications, allowing users to break down data silos to connect customers, products, people and operations. Powered from the Microsoft Cloud, Dynamics 365 allows teams to analyse information, to act in real time and anticipate customer’s needs. The productivity applications were developed to help users to capture and identify new opportunities in an easy way integrated with the entire process and connecting all parts of the business. In the fast economy era, timing is critical and one of the main advantages of the Dynamics 365 is to provide insights based on data to help companies to make critical and strategic decisions. All technology behind the system helps to take advantage of the new trends, disrupt and adapt to the market quickly. It’s an essential tool to bring your company into the digital age. Microsoft Dynamics 365 is much more than a sales and marketing CRM, its operations features can add value to your business, facilitating the process of bringing new products to the market. With connected system every aspect of your sales and operations are automatised and easily controlled from the CRM dashboards. It’s also allows the teams to change and adjust fast when something is not reaching the target. The goal of every sales team is to turn relationships into revenue. Dynamics 365 make it easier, as empower users to go beyond sales force automation. They can understand customers needs better, engage more effectively and consequently win more deals. Check below some of the features for sales teams. Show the next best step: Provide sellers with contextual, embedded insights from Dynamics 365 for sales that reveal the next best step to move each customer relationship forward. Optimise email engagement: Show sellers when and how customers interact with their emails, so they can be more proactive and responsive in their communications. Social trends: Provide sellers with social insights that track buyer sentiment and identify potential competitive threats. Data and processes connected: Unify relationship data and processes with integration between LinkedIn Sales Navigator and Dynamics 365 for Sales, so sellers have the insights they need to build trust and easily manage relationships at scale. Capture signals from social media: Provide insights that show relevant conversations to join and content to share, so sellers can seize opportunities to engage buyers on social media. Intelligent guidance: Increase user adoption and minimise training with rich, context-sensitive help and an intelligent, event-driven sales process that guides sellers to optimal outcomes. Simplify sales execution: Accelerate deals with an end-to-end, immersive experience for opportunity management. Increase seller productivity with familiar tools like Excel and Outlook that work seamlessly with Dynamics 365 for Sales features. Work on the go: Support work on the go, even when there’s no connectivity, with modern mobile applications that provide contextual news, social data, and task flows that increase usability. Partners connection: Recruit, onboard, and strengthen your partner channel through deeper enablement and activation. Give partners a quick view of interactions across opportunities, cases, and other relevant information. Shorten onboarding time: Ease integration tools for new sellers. Align sales behaviour with best practices and interactive help and documentation features from Dynamics 365 for Sales. Increase sales effectiveness: Hit your numbers by setting goals, monitoring results, and providing timely feedback and coaching. Investigate deviations from plan and take corrective action using real-time analytic dashboards. Visibility and insights: Go from data to insights in Dynamics 365 for Sales with real-time dashboards that have interactive, drill-down capabilities and natural language queries. Team motivation: Energize your sellers with fun and exciting team-based sales contests. Improve sales performance and hold everyone accountable with a unique gamification solution that makes results highly visible. Adapt quickly: Accelerate time-to-market and adapt the application to your needs with no-code visual editors and tools that make it easy to build and deploy web and mobile applications. Extend and connect: Automate processes across Dynamics 365 applications and partner systems for a unified experience. Invest with confidence: Rely on the Microsoft cloud platform to reduce the cost and complexity of operating a global infrastructure, and trust state-of-the-art Microsoft datacentres to safeguard your data. Drive innovation: Transform your customer interactions with deep insights provided by embedded intelligence of Dynamics 365 for Sales that guides your teams to the right business outcomes. Microsoft Dynamics 365 was developed to transform prospects into business relationships, which is an essential step to close a deal. The platform allows users to find and nurture more sales-ready leads, it connects sales and marketing, automate processes and make smarter decisions to maximise Marketing ROI. Check out below some of the Dynamics 365 features for Marketers. Run multichannel campaigns: Use email marketing, web landing pages, events, SMS integration, phone calls, and custom channels to attract the right prospects. Personalise buyer experiences: Use configurable templates, reusable content blocks, design tools, and Microsoft Stream videos to prepare content and set up customer journeys based upon their engagement. Nurture leads using LinkedIn: Use Dynamics 365 Connector for LinkedIn Lead Gen Forms to target matched audiences, nurture leads, and create a buyer’s journey based on LinkedIn content and interactions. Event management: You can organise in-person and digital events with an events portal to manage registrations, sessions, speakers and venue logistics. Use integration with ON24 or other webinar providers for digital events. Create one view of the customer: Share one source of information about contacts, leads, and customers to deliver consistent results across the buyer’s journey with Microsoft Dynamics 365 for Sales. Account-based marketing: Enable your sales and marketing efforts to target accounts most likely to generate the largest revenue. Orchestrate the buyer’s journey for account-level leads with personalised content, and nurture activities to maximise revenue. Track prospect throughout their journey: Prioritize leads ready for sales engagement with multiple lead scoring models and sales readiness grades. Move prospects more efficiently through the marketing and sales funnel with automated workflows to hand off sales-ready leads and drive follow ups. Increase productivity: Easily set up and view campaigns with marketing calendars showing campaign timelines and activities. Familiar Office 365 tools make it easier to collaborate with colleagues, leads, and customers. Gain marketing insights: Out-of-the-box dashboards, marketing analysers, and get real-time interactions to quickly gain insights. Also build custom dashboards to analyse performance. Focus on top priorities: Use embedded intelligence like dynamic segmentation to target the right audience, multiple lead scoring models to prioritise leads, and customer interactions insights to personalise engagement. Monitor multiple marketing channels: Use Dynamics 365 AI for Market Insights to bring together insights from events, emails, and landing pages, as well as social listening data from various social media platforms. Social engagement: Use social insights to gain competitive intelligence, measure, and manage your brand reputation. Survey customers: Conduct online surveys to better understand your customer needs and apply learning to your marketing investments. Watch the video below to see an overview about the Microsoft Dynamics 365. Microsoft Dynamics 365 is a complete application to grow your business, including sales, service, finance and operations, talent management and marketing. An entire suite of features to automatize your processes e allows your team to optimise their work and get the most from your valuable data. Microsoft Dynamics CRM training at New Horizons Dublin will enable you to make the most out of your customer information. From an introduction to CRM, to learning more specifically how to customize Dynamics CRM into your business, New Horizons Dublin offers the courses you are looking for. 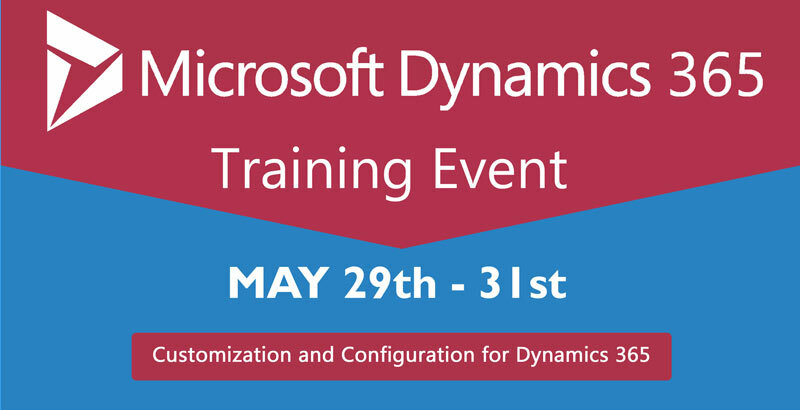 At New Horizons Ireland we running a special Microsoft Dynamics 365 course delivered by the expert and experienced MVP of Microsoft Dynamics, Feridun Kadir. Who is also one of the authors of the book 'The CRM Field Guide'. Feridun has been working with all versions of Microsoft Dynamics CRM since version 1.2 (2004) and is highly certified in Microsoft Dynamics. Contact one of our Account Managers to know more about Microsoft Dynamics 365 courses and unlock new opportunities for your business. Like our tips and tricks? Like to get your hands our latest keyboard shortcut cheat sheets? Or want to make sure you never miss our webinars and resources? Well subscribe to our Newsletter now! *The article below is based on the information provided by Microsoft in this link.